C&A Mackie Insurance Schemes has been providing driving instructor insurance since 1990. As a recognised market leader we have developed products to meet your specific needs as a driving instructor. Being a driving instructor doesn’t come without its challenges, but it can ultimately be an extremely rewarding career choice. With more and more people getting out on the roads, it’s vital that the UK has a legion of highly-skilled tutors to teach candidates how to drive safely and economically. There has also been a lot of debate surrounding the UK driving test and the format of the exam could be altered in the coming years, bringing it right up to date. As such, this is an exciting time to be a driving instructor. Of course, there’s always an element of risk in this profession, which is why you need a driving school insurance policy that gives you sufficient peace of mind that you won’t be left out of pocket if one of your students has an accident. We understand that you need a service you can rely on, as your vehicle is your source of income. 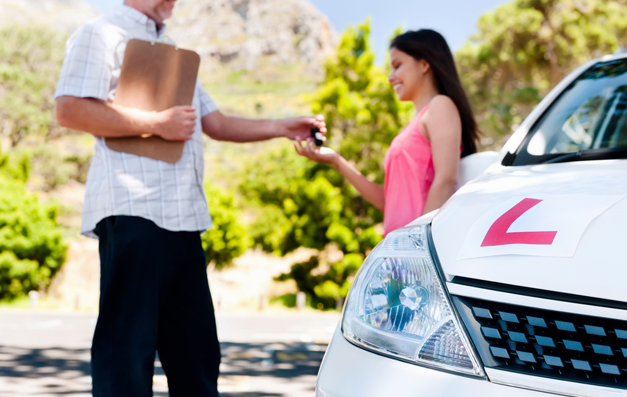 It’s vital that your driving school insurance policy covers you for all eventualities, as the likelihood of you being involved in an accident can vary drastically depending on the candidate you are teaching. This is why we aim to fit your insurance around you and your career, ensuring you’re fully protected and that your policy offers numerous benefits. We work closely with a multitude of insurance providers to ensure we can offer you low-price cover. Why settle for a one-size-fits-all driving instructor insurance policy when you can get a bespoke package that suits your needs exactly? To receive a quote today and speak to one of our driving instructor insurance specialists, call 0141 423 8555. Our products are the envy of our competitors, with dual control vehicle included when you have an accident, regardless of accident being fault or non fault and our Accident Management System is market leading with partners throughout the United Kingdom. We offer quotes from a selection of insurers including Equity Red Star, Allianz, KGM and Highway. Our length of time in this industry has built a massive reputation with thousands of driving instructors and a wide panel of insurer partners. or call us on 0141 423 8555.